Andre Villas-Boas has backed Chelsea's bid to repurchase the freehold of Stamford Bridge, insisting a move to a new stadium would be the right thing for the club. Opposition from supporters' groups to the Blues' plans to buy out the shareholders of Chelsea Pitch Owners (CPO) appeared to grow this week. The club's desire to regain ownership of the land on which Stamford Bridge sits - which has belonged to CPO since the 1990s - has been seen as a precursor to a move to a new 60,000-seater stadium. 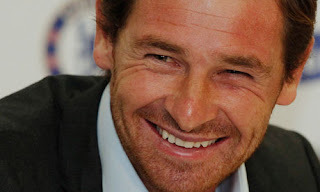 Manager Villas-Boas was confident chairman Bruce Buck and chief executive Ron Gourlay had supporters' best interests at heart, saying: "The most important thing for us it to position ourselves regarding our future. The club has made a wise decision in that sense." Although Chelsea have yet to decide whether to move, Villas-Boas was fully in support of the prospect.